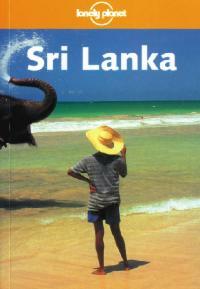 Sri Lanka predates its weightier cousins India and Thailand as a Lonely Planet guidebook. Tony Wheeler describes his first vision of Sri Lanka as "an instant love affair." He researched and wrote the first edition in 1979 inspired by the country's outstanding natural beauty and its cultural similarities and differences from India. His visit was well timed Sri Lanka was poised to take off as a tourist destination and the guidebook became an instant success. A few years later, internal conflicts in Sri Lanka escalated making it too volatile to visit for almost two decades. Thankfully, peace was restored in 2001 and the country is now safe. Tourist numbers are steadily rising as people once again discover its attractions. Most people head to Sri Lanka for the beaches, but if the swaying coconut palms, glistening white sand and shimmering water is not enough, there are seven World Heritage Sites, cool and misty tea plantations (some unchanged since colonial times), abundant wildlife, lively festivals, ancient cities and a colourful array of unique handicrafts to be explored and enjoyed all on an island about the same size as Tasmania. Sri Lanka is a hot destination for couples wanting to tie the knot and the latest Lonely Planet guide says that there are plenty of agents and options to help plan for the big day. Wedding ideas appear to be only as limited as your imagination (and your budget! ), whether you fancy riding up he aisle on an elephant or simply saying your vows as the sun sets serenely over the beach. Lonely Planet's Sri Lanka guidebook includes a special chapter on Sri Lanka's ancient cities and coverage of Jaffna and the North only recently re opened to travellers. A new colour highlights section, 46 detailed maps and transport timetables make trip planning easier and the gorgeous colour photos will make you wish you were already there.